The euro edged higher against the dollar in thin trade on Monday. London markets, which carry around fifty percent of all global forex trade, were shut for a bank holiday. 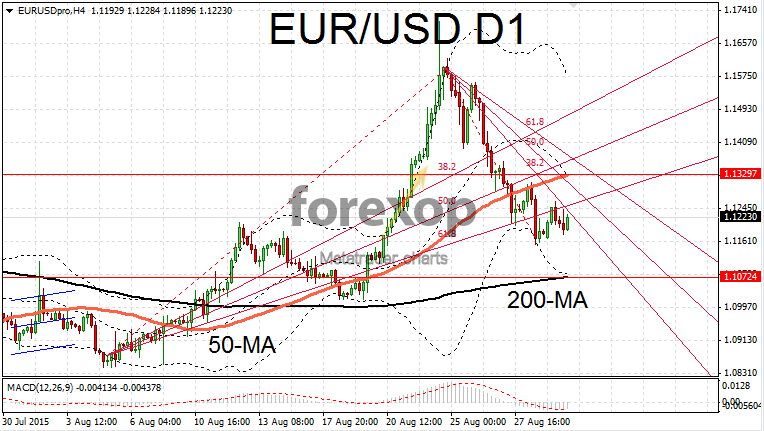 In a volatile session EUR/USD eventually drifted higher as traders took note of some encouraging economic news. German retail sales came in surprisingly strong in July. According to the latest figures, sales increased by 1.4 percent on the month. This was well ahead of the forecast of 1 percent and brings the annualized growth to a decent 3.3%. The retail segment is seen as a key barometer for the German consumer sector. After two months of lacklustre growth the latest data helped reassure markets that Europe’s biggest economy remains in good standing. A flash report from Eurostat showed that inflation in the Eurozone reached an annualized rate of 0.2% in August. This was much stronger than economists had anticipated. Yields on German government bond yields rallied strongly after the data. The 10-year yield lifted by 1.6 percent as bond markets factored in the latest inflation report and the improving retail picture. After rising strongly in the Asian session EUR/USD slipped back to 1.1197 before rallying again after the retail sales data was noted. 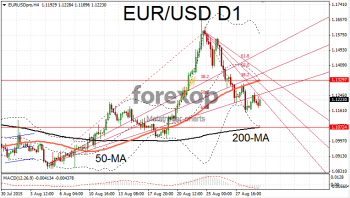 EUR/USD is still correcting downwards after failing to carry through on a strong rally which took the pair up to 1.1713. Yen had another strong day as risk concerns remain in the fore. USD/JPY fell back to 121.13 as the Japanese currency pushed higher on the greenback. USD/JPY remains at the bottom of its range after being locked in a bearish decent for the past two weeks. Speculative traders will be reluctant to places large dollar bets ahead of Friday’s nonfarm payrolls. Markets are expecting that around 220,000 new jobs were added to the US economy last month. As usual with the release of nonfarm payrolls, any deviation either way could trigger large dollar movements. With another boost to the dollar – Fed official Stanley Fischer dispelled ideas that a September rate hike is complety off the table. In a speech over the weekend, Fischer said that inflationary pressures in the US will build as the effect of the dollar’s strength fades. Overall however, markets are anticipating a delay in the first hike by at least a month or two following the turmoil in China.